Since the beginning of time, pundits, psychologists, and philosophers have been waxing poetic about the differences between men and women. Many well-researched theories and observations have been postulated -- everything from variations of XY chromosomes to moon cycles to shopping habits. 1. Men and women wrap presents completely differently. Presents wrapped by women look really good. The edges are square. The tape is in all the right places. There are no unnecessary wrinkles, crunched up paper, or rips. The presents women wrap could easily be photographed for a catalog or Good Housekeeping centerfold. Presents wrapped by men are usually a joke. Asymmetrical. Random. Pitifully sophomoric. Like an old pair of sweat pants stuffed into a drawer a little too quickly before the dinner guests arrive. 2. Men and women open presents completely differently. Women look for the seams and the tape and use their tapered fingers in mysteriously delicate ways so the wrapping can be flawlessly removed, flattened, folded, and used again in the future. Men are huns. They rip. They tear. They plunder the paper as if it was a small village needing to be taken over immediately. The remains of the wrapping, no matter how beautifully conceived by the giver, ends up in a balled-up heap of chaos on the floor -- unusable for anything but kindling or throwing at other males across the room. One of the great benefits of having a living Master, is that you eventually realize how unbelievably tricky the mind is and how it likes to package your experiences in nice, tidy little boxes. While your heart is gleefully understanding the timeless truth, your mind is feverishly trying to make sense of everything. Experience is then replaced by the story of the experience -- and the story, no matter how captivating or well-told can never be anything more than an approximation of what really happened. In my brief experience on planet Earth, I've noticed that one of the results of entering into the Master/Student relationship is the awakening of longing -- the sweet aching of the heart that moves a person towards the very best of what life has to offer. Longing deepens us. It enlivens us. It engages, expands, and urges us to connect with love -- what the ecstatic poets, since the beginning of time, have referred to as the Divine Beloved. The paradox? We have everything we need RIGHT NOW and, at the same time, our hearts long for that which is beyond time and space. Yes, absence makes the heart grow fonder, but so does presence -- especially the presence of one who cares about the heart growing fonder, no matter what it takes. Of course, it's hard to talk about all of this stuff without sounding like a complete nut job, but so what? The attempt to communicate this divine paradox is one of life's great pleasures. Ultimately, the form this attempt takes matters far less than the blessing that comes from the effort to communicate it. Water is water whether it's liquid, ice, or gas. And longing is longing whether it's expressed in word, song, or silly putty. So here's to more longing in 2010 -- not the longing of absence, but the longing of presence (like when you're watching a movie you totally love and while you're watching it are simultaneously looking forward to the next time you can watch it) -- and all of this without disconnecting, for one nanosecond, from the experience of watching it NOW. Not All There? Says Who? Twice in the past two days a curious thing happened to me. In separate conversations with two friends at two different times, I was told that two other, mutual friends of ours were "not all there." After sharing their assessments, each of my friends looked at me as if expecting some kind of acknowledgment about the brilliance of their comments. None was forthcoming. And WHY it wasn't was because I had a completely different experience of the people they were referring to. "Not all there" was not a phrase I would use to describe these folks. Yes, they were quirky. Yes, they were different. And yes, their "social skills" left something to be desired. But so what? That didn't make them "not all there" -- just refreshingly unique. 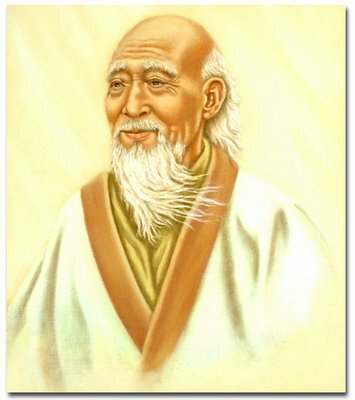 Which one of us is so "there" that we have the right or the wisdom to judge another person's "thereness?" None of us. In fact, some of the most "all there" people I know appear to be the "least there" in the eyes of those whose favorite hobby seems to be judging. "Just not lest ye be judged." 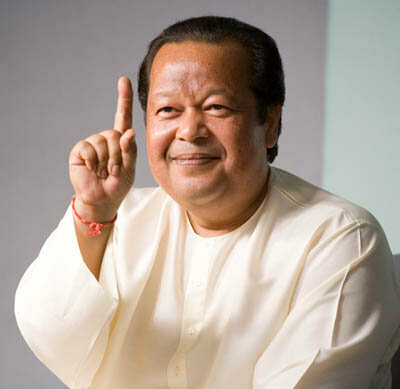 Please join me in wishing Maharaji (aka Prem Rawat) a very happy birthday! May all the seeds he's planted bloom into fragrant flowers everywhere. And may YOU, oh reader of this blog, continue to be grateful for all the blessings in your life. Time to celebrate!